The department store chain announced it is in talks with lenders about a £150million refinancing package, following House of Fraser owner Mike Ashley’s attempt to take control by ousting board members and appointing himself through a shareholder vote. 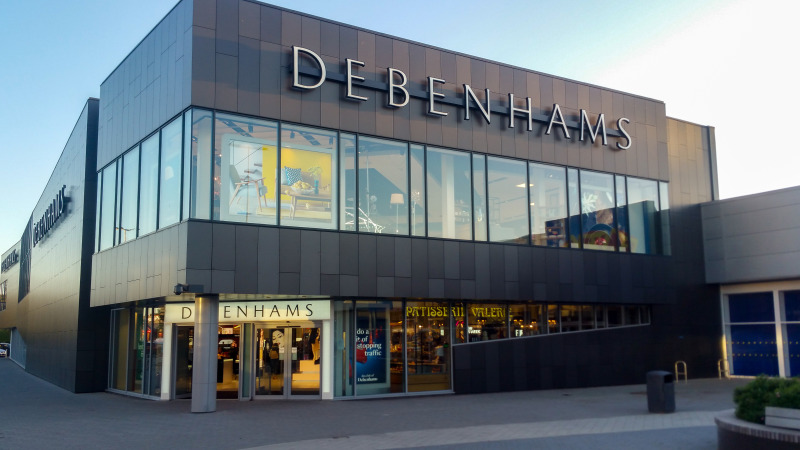 Debenhams confirmed today that it is in advanced negotiations with its current lenders about additional facilities of approximately £150million. It explained that £40million will refinance the £40million bridge facility announced on February 12. The announcement followed news on March 8 that Sports Direct owner, Mike Ashley - who bought House of Fraser in August and also owns a 29.7% stake in Debenhams – had called for a general meeting of shareholders to propose his appointment to the board of directors of Debenhams and the removal of all of the current members of the Debenhams board (other than Rachel Osborne who became a director in September 2018). Any shareholder holding more than 5% of the issued share capital has the right to call a shareholder meeting, however, Debenhams said it is “disappointed that Sports Direct has taken this action” when it had been engaging stakeholders regarding options to restructure the business’ balance sheet. The retailer added that those discussions to address future funding requirements are “well advanced” and there have been reports that the retailer has urged the Competition and Markets Authority (CMA) to intervene over the attempted boardroom coup. Mr Ashley’s intentions were made clear just three days after Debenhams issued a profit warning, blaming trading headwinds for disrupting the department store chain’s performance. It said in the trading update on March 5 that “macroeconomic uncertainties and increased financing costs as a result of additional working capital needs, this means that the group's statement made on January 10 that we were ‘on track to deliver current year profits in line with market expectations’ is no longer valid. Addressing the disappointing performance and need for refinancing, Debenhams chief executive Sergio Bucher said at the time: “We are making good progress with our stakeholder discussions to put the business on a firm footing for the future. We still expect that this process will lead to around 50 stores closing in the medium term.